Lemon Cucumbers (named for their color and not their taste). A coupon for lunch at the Earth House. And fun recipes for ideas on how to use the items. We are lucky to be able to recieve this bounty. 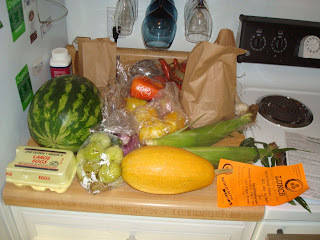 If you are considering joining a CSA, I would recommend it.